Fourth-grade students at GFJ have been studying Colonial times as part of their social studies unit. Part of that curriculum includes how people had to make their own clothes. To that end, Southern Tier Lamb Loom Association visited to show students just how it was done. Students learned how fabric is made from lamb and alpaca fur, which includes both the thread and the cloth. 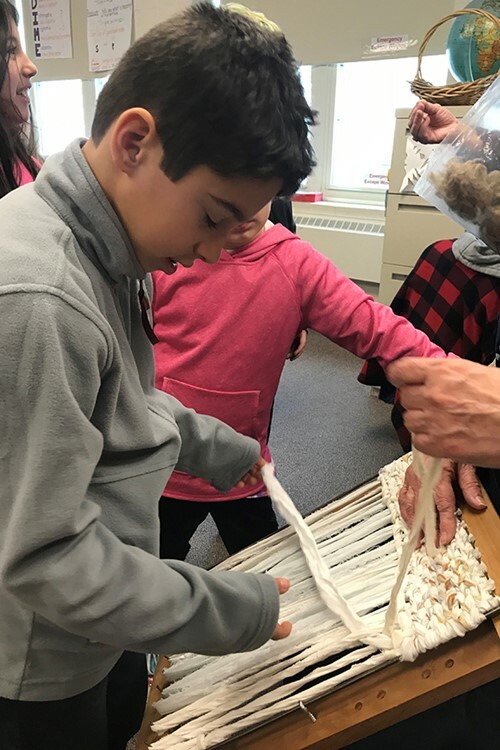 They had the opportunity to knit, work with a loom, and spin the fur into yarn. The unit also covers the concept of “reuse”, tying into the science curriculum information on reduce, reuse and recycle. Students learned what can be made from rags and extra fabric so that nothing goes to waste.